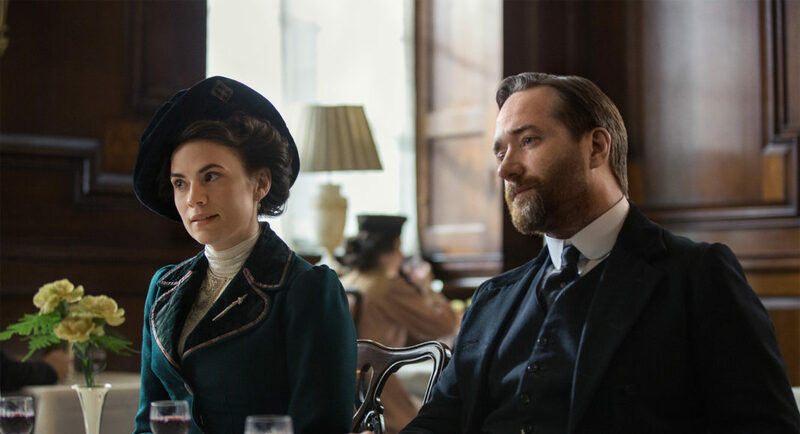 Howard's End First Look Image Of Hayley Atwell & Matthew Macfadyen - Are You Screening? Howard’s End, the limited series based on the E.M. Forster novel that is set to air on BBC and STARZ, released a photo so that people finally have something to ground their potential excitement. While a first look release is never quite the sensation some may hope, in this case, it’s good to get something moving on this one just to get past the lingering effect of the good/bad news of Hayley Atwell‘s attachment to the project, which helped killed her fans’ hopes of Agent Carter revival. 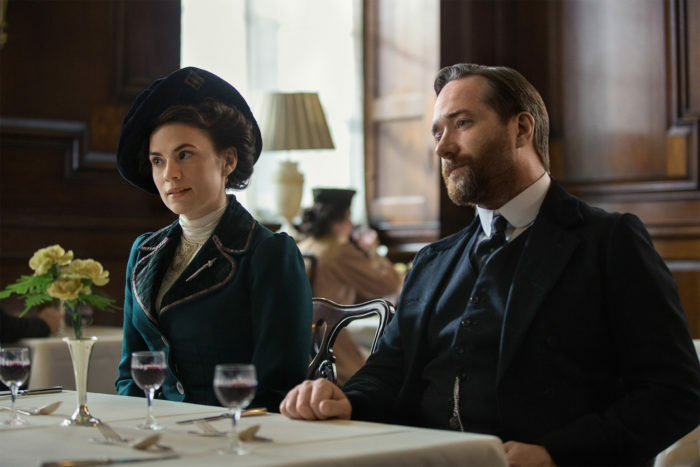 The image shows Atwell (Margaret Schlegel) and Matthew Macfadyen (Henry Wilcox) at Simpson’s-in-the-Strand restaurant. It’s hard to believe just how long it’s been since the now classic Anthony Hopkins/Emma Thompson version of the story, and if getting another take on the story isn’t enough, this one comes as Kenneth Lonergan‘s first television adaptation. You have to imagine, given his recent Manchester by the Sea, that the Academy Award® winning screenwriter is going to offer up a unique take here. The four-part series is directed by BAFTA winner Hettie Macdonald (White Girl), and has an outstanding cast. Margaret Schlegel is an intelligent, idealistic young woman who is courted by the older Henry Wilcox, a self-made conservative businessman after his wife Ruth Wilcox (Julia Ormond) dies unexpectedly and he becomes the owner of Howards End. Meanwhile, Margaret’s passionate and capricious younger sister Helen Schlegel (Philippa Coulthard) takes up the cause of Leonard Bast (Joseph Quinn) a young bank clerk who falls on hard times at work and at home with his partner Jacky (Rosalind Eleazar). In the absence of their late parents, the sisters’ loving but interfering Aunt Juley (Tracey Ullman) tries to keep the young ladies and their brother Tibby (Alex Lawther) on the straight and narrow. “Howards End” consists of four hour-long episodes that will air on BBC One in the UK and STARZ in the U.S. Executive produced by Playground in association with City Entertainment and KippSter Entertainment, production and filming continues in and around London.